The world beyond my computer beckons, and duty calls, so I must somewhat curtail my output for a couple months. First up is a vacation (Yea!) and then I will be out trampling the cacti in the Chaco region for a bit. Thanks to WordPress scheduler, I have some things on tap while I’m away. 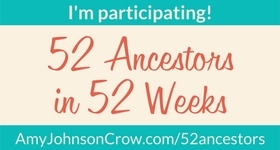 You can certainly count on my continuation of the 52 Ancestor series. Maybe I’ll make an attempt to blog by phone (maybe not). In the meantime, you might consider checking my archives. For example, these are some posts that received ten or fewer views, but were “liked.” I hope you’ll give them a look! Have a great time and I look forward to reading some of your older posts.